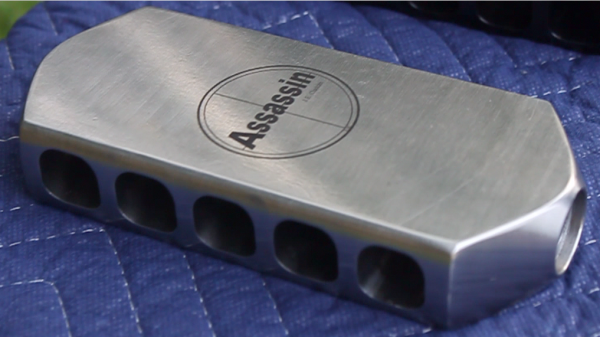 The Assassin Muzzle Brake is available in different configurations. The uncut brake is 1.5"x3.0" and designed for 3/4" of thread engagement. Thread sizes are 9/16x24, 5/8x24 and 11/16x24. The caliber and muzzle diameter of the barrel will determine the correct size to choose. 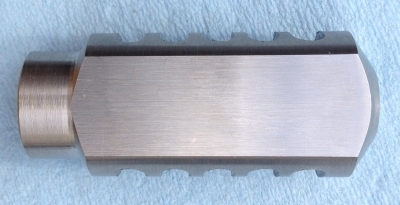 Timing Washers (For Self Installation), will do 7 or more rifles. Installation on rifle that is already threaded. Laser logo available on full width brakes. 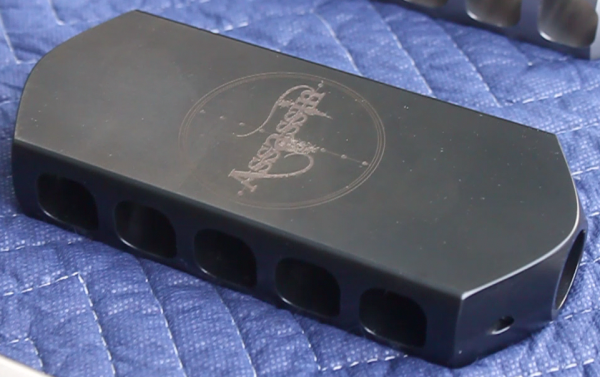 The brake is 3.0"x6.5". Thread is 7/8x14 TPI.